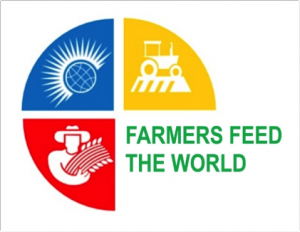 Agribusiness employers are invited to attend free half-day Farmers Feed The World Job Fairs, with the next one coming up on October 25 in Hamilton, followed by December 6 in Mississauga. Farmers Feed The World (FFTW) is a project funded by the Canadian Red Cross, which aims to help Syrian refugees find employment or build a business in the agriculture sector in Ontario. In the first phase of the project, Quinte Immigration Services (QUIS) hosted an information session and an employment tour in the Quinte area. Now in the second phase, they are reaching out beyond the Quinte area to five more regions across Ontario where they’ve found partner agencies to host a one-day event with an information session in the morning for a Syrian refugee audience, and a job fair in the afternoon where the Syrian refugees can meet local employers from the agriculture sector. The Durham Region FFTW event held on September 13 was the first event of five, and was hosted by the Welcome Centre Immigrant Services in Ajax. At the next FFTW event in Hamilton on October 25, employers will attend the afternoon job fair (1 p.m. – 4 p.m. with a half hour before and after for set up and pack up) and have an opportunity to meet approximately 30 Syrian refugee job candidates, the majority of whom will have had farming experience. Interpreters will be available on site to assist where needed. If you are interested in attending the Hamilton job fair, please complete and return this registration form to FFTW, who will then contact you to confirm if there is space available.